I have to be honest with myself, even though I’m planning to cut back on my makeup spending this year, there are a few products that I have on my radar that were they to go on sale I would snap them up without hesitation. This might read a little like a wish list post, except I will probably end up owning all of these items by the end of the year. I only hope that they don’t end up having sales all at the same time, that would not work in my favour. The original version of this palette has been on my want list for years, then last year they came out with a warmer version that would suit my deep skin tone better and I was so here for it. Lunatick cosmetics has a few sales throughout the year so I’m sure that I’ll be picking this bad boy up when one rolls around. Something about this palette speaks to me, maybe it’s the raspberry purple tones, or maybe even the few duo chrome shades that are included in the palette. 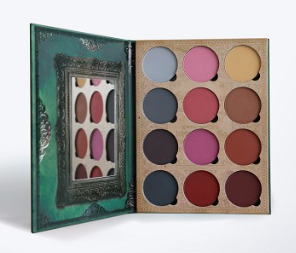 For whatever reason I’m drawn to this palette and would certainly pick it up if there was a good enough sale to entice me to part with my money. For years Viseart has been touted as having one of the best matte eye shadow formula, and for years even before they blew up I’ve wanted to purchase some of the palettes. The price has always stopped me though. This past year I saw them on sale for an amazing price, sadly I had to pass on them at that time. However should that sale happen again this year, I’m ready for it and will pick up the few palettes that have caught my attention. Her palettes are often raved about, many say that it’s their favourite shadow formula and that the pigmentation and quality is unrivalled. I want to try it and experience it for myself. I just don’t want to to do it at the steep price that they usually boast. Some dupe palettes have been made but I’ve found that sometimes it’s just better to get the original product that you wanted because the dupe might not satisfy you, at least that’s been my experience with dupes. This is another one where the colours of this palette have just drawn me in. It’s just so different from most of the palettes that are being introduced to the market place right now. 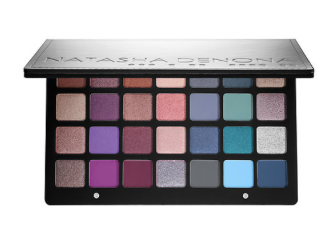 The Sephora Canada site doesn’t have this palette listed anymore but i’m going to keep an eye out to see if it goes on sale on any of the other suppliers sites. I’ve been interested in purchasing Zoeva palettes for almost four years, so the next time they have a half way decent sale I’m going to pick up a palette or two. I probably won’t pick up all four of the palettes I listed, though I might change my mind and go all in when the time comes. I might also grab a brush or two as well. This is another palette that I’m just drawn to. The colour theme just appeals to me. I’ve talked myself out of this palette so many times, and do regret a bit that I didn’t pick it up when it first launched and they had a promo deal on it. When it comes back in stock, I’d like to pick it up. Nabla also as single eyeshadows so if there included in the sale I’d pick up some of them too. The Just Peachy Mattes palette has grown on me. When I first swatched it in Sephora I wasn’t that impressed and felt like the colour of the shades just melted away. Since then though it’s started to really appeal. It’s sister palette the Peaches and Cream will be out soon as well. They don’t move me or compel me like some of the other palettes on this list do, but I feel like I would enjoy having them. These I would really only pick up on sale. I think I’m going to stop here, because I really could keep going. Eyeshadow palettes are something that I can’t get enough of, so even though I don’t need it and probably have similar shades in my collection already, there will always be a palette that appeals to some part of me. Do you have any must buy items on your list for this year? What have you got your eyes on?